Beat the February Blues with Applegrove’s annual Yoga-Thon on Saturday, February 4! Help yourself AND Applegrove. See more on Applegrove’s Special Events page. This entry was posted in Applegrove Community Complex, Event on January 25, 2012 by The Ashbridge's neighbourhood. We are having a meeting of the S.H. Armstrong Advisory Council on Tuesday, January 24 at 6 p.m. – 56 Woodfield Road. Everyone who would like to be involved in making sure this centre (including the pool) is utilized to its fullest is welcome to attend. At the beginning of the meeting, we will be holding nominations for all four executive positions, as they will all be open. They are: Chair, Vice Chair, Secretary and Treasurer. This entry was posted in Event, S.H. Armstrong Community Recreation Centre on January 21, 2012 by The Ashbridge's neighbourhood. The S.H. Armstrong pool (and the other 4 school-based pools) have been taken off the chopping block. The motion was proposed by Josh Colle and was approved by a margin of 23 votes to 21 and includes adding back in services to pools, libraries and a host of other community-based items. Read the Globe article about this. Please consider joining the S.H. Armstrong Advisory Council and see what can be done to increase visits at the pool because this motion only buys us a reprieve for the next year and then it starts all over again. There was a great turn-out last Friday for the Swim-Up event. It was covered on CBC late night news (they came to the event). See the link below (coverage starts at the 3:24 mark). If the link sends you to the CBC home page, try copying and pasting it. If that doesn’t work, search at cbc.ca for Toronto late news January 13, 2012. This entry was posted in Duke of Connaught Public School, S.H. Armstrong Community Recreation Centre on January 18, 2012 by The Ashbridge's neighbourhood. S.H. 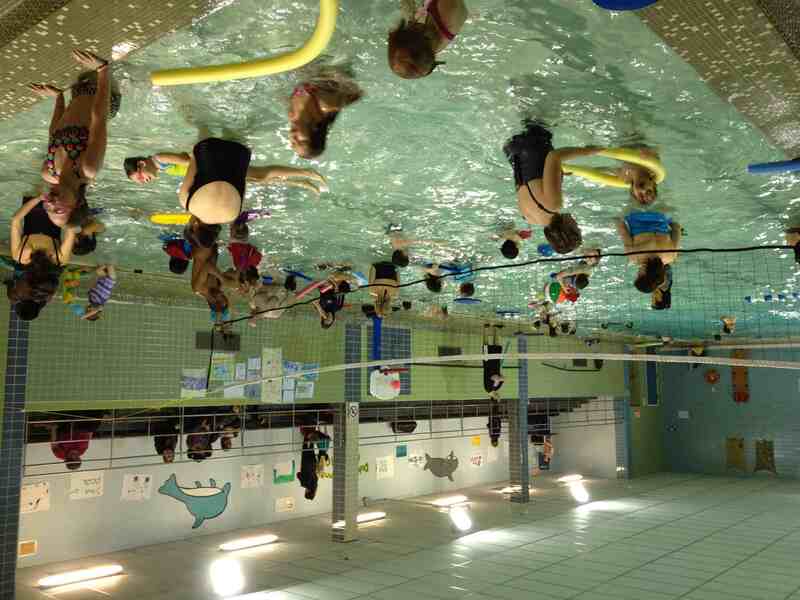 Armstrong / Duke of Connaught pool is at risk due to cuts in the City Budget. and show your support for our pool ! This entry was posted in Duke of Connaught Public School, Event, S.H. Armstrong Community Recreation Centre on January 12, 2012 by The Ashbridge's neighbourhood. On November 30, Duke of Connaught students performed a delightful skit to mark the 100th birthday of their school. On November 30, 1911 the Duke of Connaught turned the sod and a hundred years later Duke students re-created the event. Trustee Sheila Cary-Meagher helped them to “turn the sod” again. November 30 was the first of the events marking Duke of Connaught School’s 100th anniversary. The big event is October 20, 2012 – see the Duke 100th site to find out more. See photos of the November 30 event on the Snap Beaches website. This entry was posted in Ashbridge neighbourhood history, Duke of Connaught Public School, Event on January 3, 2012 by The Ashbridge's neighbourhood.